Here are the design for blog template. You can use it in your design and your project. 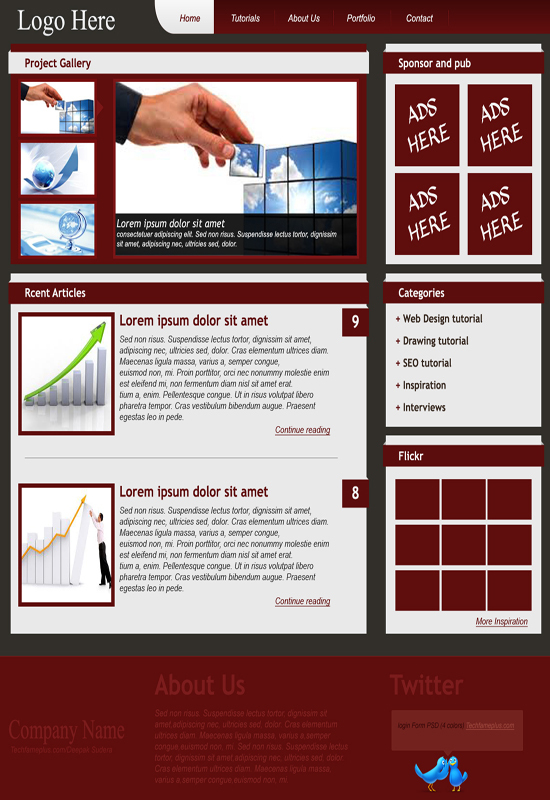 The template Design resolution is 1200px X 1300px with dark color. twitter and ads options available in this design.